My geared stock portfolio increase modestly, while the estimated valuation for our home continued to decline slowly. 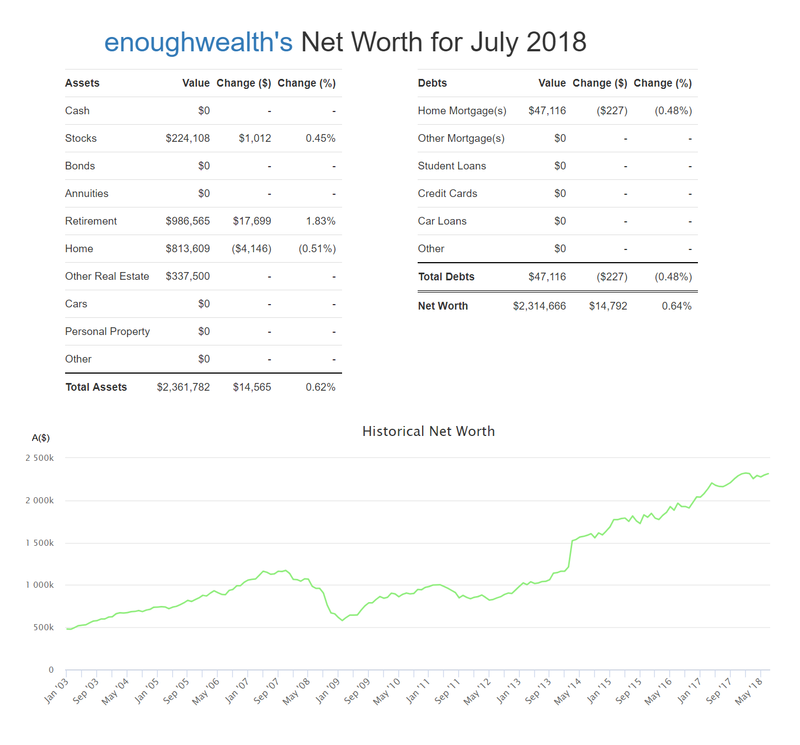 'Experts' are currently predicting a further decline of 0%-15% over the next 1-2 years, so this is likely to be a drag on my net worth performance until at least the end of 2019. My retirement savings showed a relatively strong rise, probably due to the larger exposure to international share markets than is this case for my geared share portfolio (i.e. the decline in the value of the AUD vs USD boosted the AUD value of our investment in the Vanguard 'High Growth' index fund. 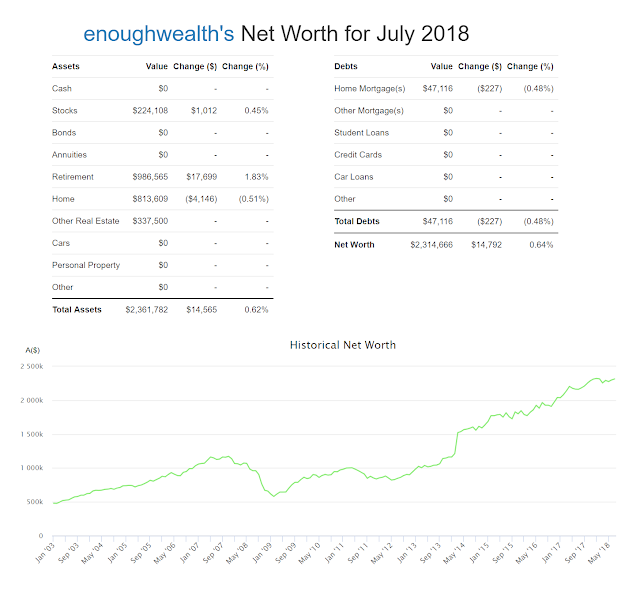 First time visiting your site and I must say, this Net Worth is quite impressive on a 5-figure salary. Just go to show how much wealth a disciplined person can accumulate.